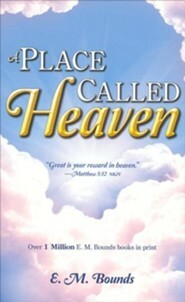 If heaven is truly a paradise where God dwells, we should desire it more than anything on this frail, fleeting earth. 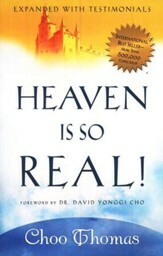 The trials and difficulties of life should each be seen in light of the coming glory of heaven. Unfortunately, we rarely view things from this perspective. Our schedules are filled with the present, allowing no time for contemplating or desiring eternity. Our incorrect perspective makes us spend our time on the least important things while ignoring those things that are most crucial. 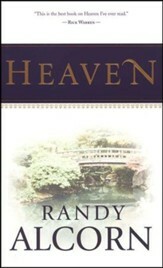 Take a break from the present and let E. M. Bounds help you discover A Place Called Heaven. 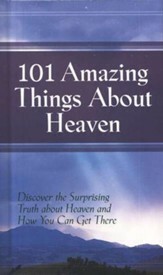 Examining virtually all the Scriptures that pertain to heaven, Bounds masterfully explains the nature of heaven and our purpose in it. Get a taste of heaven here on earth, learn a true Christian attitude toward eternity, and discover a purer, truer life. 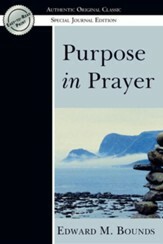 E. M. (Edward McKendree) Bounds (18351913) has given us a powerful legacy of prayer, believing it to be the strongest link between God and man. Bounds was a pastor and editor who spent many years reading, writing, praying, and taking part in revival ministry. Deeply concerned for the world, Bounds would rise at 4 a.m. to pray. Since the time of the apostles, no man besides Bounds has left such a rich inheritance of research into the life of prayer. I'm the author/artist and I want to review A Place Called Heaven.